tl;dr he's from the comics, from the AXIS storyline. The Vision is something called a synthezoid - apparently, a completely synthetic human. He was created by the robot Ultron to destroy the Avengers: he was a trap so invested in tricking the Avengers that he himself did not know he was on Ultron's side. Unfortunately, that meant that he believed he was on the Avengers' side - thus, he attacked Ultron and tricked him into killing himself. Eventually, he joined the Avengers. 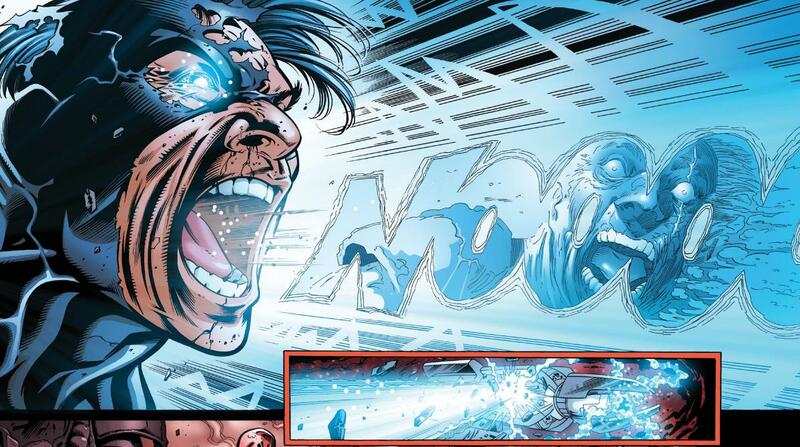 Later, it was revealed that his brainwaves are that of Wonder Man, who later refused to lend them again. In a weird twist of fate that can only happen in comic books, the Vision turned out to also be part Human Torch, and long story short, he's partly Johnny Storm now. Since his creation, the Vision has gone through a lot of adventures. He married Scarlet Witch (an admittedly shaky relationship, filled with unborn twins and several reality resets) and has since gone through a lot of character changes. Upshot is, he's an android/synthezoid that is doing his very best to simulate humanity. Storywise, he was plucked right after the events of AXIS. The Vision is essentially a robot, so he is, in some ways, cold, logical, and calculating. His programming often urges him to be eloquent and polite. However, since he is an extremely complex AI, the Vision does have emotions. He has quite the handle on them, and often he analyzes them like equations or programs. His emotions are not simulated - they are a copy of human brain waves. In this way, the Vision feels feelings just like the rest of us. Though he does his best to be polite and peaceful, he does have a sassy element to his personality. He has no patience for ignorance nor rudeness. And while he may be an extremely logical creature, his synthetic brain also allows for emotional responses. For example in possibly the most iconic Vision scene, the Vision sheds a tear, overwhelmed by emotion, with the caption: "Even an android can cry!" That having been said, he is still a robot. Sometimes, he'll seem cold and distant. He has no trouble sacrificing people for the greater good, but he always feels great regret afterwards. On the battlefield, he is a cold machine that does not hesitate to carry out whatever actions he deems necessary, even if the human part of him knows it's wrong. The Vision likes to fight tactically. He does his best to initiate fights with an element of surprise, appearing suddenly through the floor right in front of someone or ambushing someone through a wall. When the fighting starts, he likes to stay floating or standing at a distance, prodding and wearing down an enemy before moving in and taking them down with hard melee attacks. When he is in the ranged attack phase, he also scans the opponent's fighting style the best he can and tries to adjust accordingly. 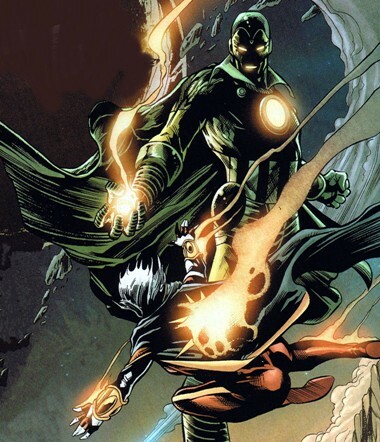 When he uses his Adaptoid powers too many times in a row, he becomes more aggressive and less defensive as the Adaptoid personality begins to take over. Vision's database of various moves Adaptoid roughly copied from his friends back home. 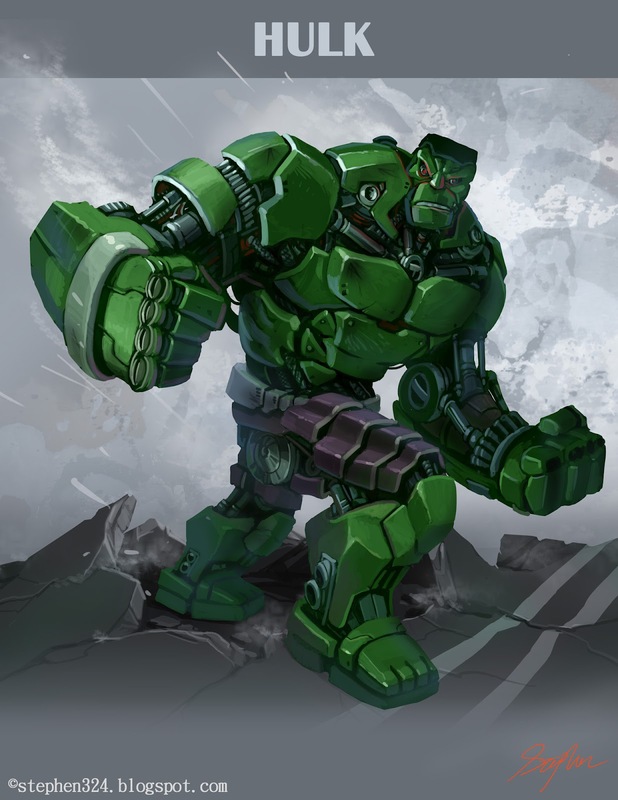 Every Adaptoid move has a cooldown, which affects the entire database - for example, if he uses an Adaptoid program with a cooldown of 3 seconds, this means he can not use any Adaptoid move for 3 seconds. This effect is referred to as the "Adaptoid cooldown". The cooldowns exist because if Vision uses too many of the Adaptoid's moves, he risks its personality programming taking over. The Vision shoots weak beams of solar energy out of his eyes. The beams are white-hot cylinders 15 mm wide each, which can travel 3 meters before sizzling out. They are aimed at whatever he's looking at at the time. He can sustain the beams for 5 seconds before needing to recharge. Recharging the solar energy takes 2 seconds. 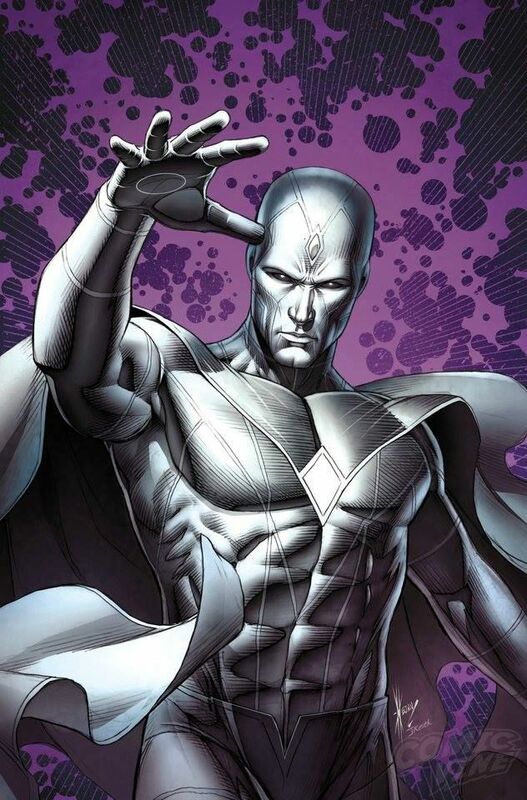 Over a span of 0.2 seconds, Vision densifies his limbs until they are as dense as diamonds. They can remain this dense for 1 second at a time. 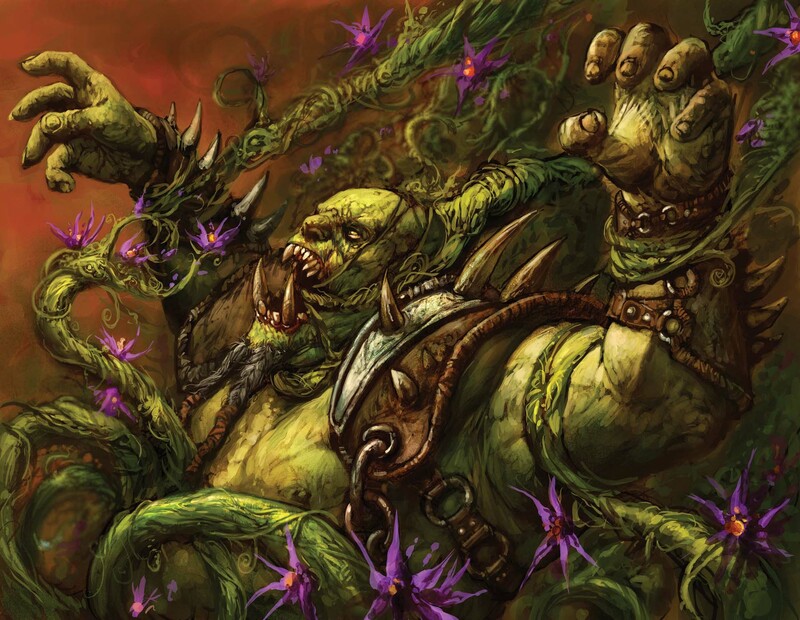 He then swings at a target, doing more damage than he would with his regular limbs, but moving much more slowly. He is also heavier when his fists are this dense, so he moves slower, and cannot fly. He may use other Moves while using this one, but since it requires a decent amount of concentration to maintain, Vision will have difficulty aiming his other moves. While there is no cooldown, repeated use will tire Vision out. After processing the program for 1.5 seconds, Vision forms Thor's mystical hammer in his right hand. As shown in the picture, the handle is just long enough to barely fit two hands and a hammerhead with the dimensions of 133x133x219 mm. He may use it for three swings before it dissipates into code, regardless of whether any of them land. A swing is defined as it is in baseball - a full swinging motion, hit or miss, and disregarding any slight preparatory twitches. While using his fists is much more efficient, Vision's Mjolnir is several times stronger than his punches. Plus, it has the added effect of slightly electrocuting the target. As powerful as the hammer is, it is still incredibly heavy (the Adaptoid's poor attempt at emulating the famous enchantment) and takes a lot of effort to swing. Furthermore, it is quite draining to summon (the math is really complicated). This move has an Adaptoid cooldown of 1 second and a general cooldown of 4 seconds. The center of Vision's chest transforms with minimal effort, turning into a glowing circle of light meant to emulate Tony Stark's arc reactor. Then it charges, preparing to fire a clumsy attack. The preparation sequence (the transforming + the charging) takes 1.5 seconds. The resulting blast can affect everyone within 2 meters in a cone of 60 degrees, centered around where he's pointing it. It does mediocre damage, and pushes you a little harder than a grown man would. As earlier mentioned, it affects everyone within the cone of influence - friendlies also get pushed. Vision must be completely stationary for the duration of this whole move, charging period included - this means no moving and no Moves. If he is Flying, he will remain exactly where he is. This move has an Adaptoid cooldown of 4 seconds. Vision presses both of his middle and ring fingers to his palms, launching two projectiles with an effective range of 5 meters at up to two targets from his wrists. The projectiles cause no damage, but if the target is hit, they will envelop them in a sticky white substance resembling spiderwebs. One projectile renders the target unable to move at all for 1.5 seconds each - if both projectiles hit the same target, the target cannot move for 3 seconds. Alternatively, the Vision will fire two ropes of web with the same effective range at up to two targets. If any of these ropes land, the Vision will yank the target towards him. This action will generally pull the target around 3 meters. 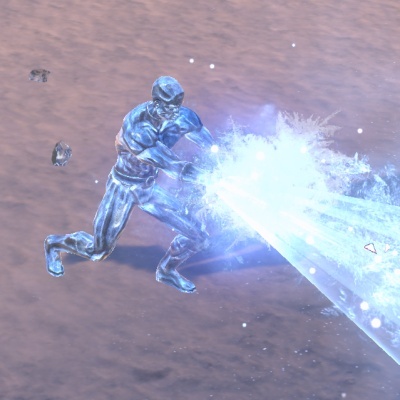 This Move has an Adaptoid cooldown of 1 second and can be used 6 times per fight before it needs to be recharged. Vision spawns tree roots like tentacles from the ground, which grapple and ensnare any non-friendly targets. This does no damage, but slows enemies and disrupts their focus. The roots can be damaged, and have Vision's DEF. The area-of-effect is a cylinder, centering around the Vision, with radius 1meter and height 2 meters. It lasts for the entire fight and can only be used once. This Move is pretty exhausting, can only be used once, and has an Adaptoid cooldown of 10 seconds. 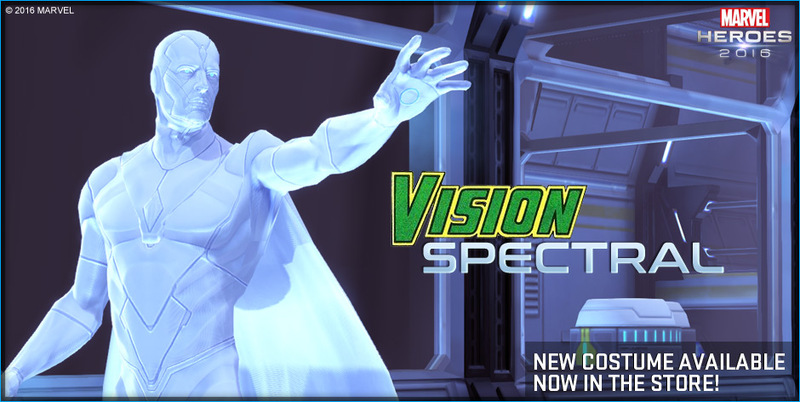 The Vision sticks out his hands (or with one hand, it don't matter) and releases a 2.5-meter beam of cryogenic fog, which very lightly damages and slowly freezes one target over time. If you are frozen, you will be slowed. The more frozen you are, the slower you will be, until after 4 seconds passes, you stop moving entirely. No matter how frozen you are, the debuff lasts for 2 seconds, starting after the last damage taken from this attack. He can sustain this attack for 8 seconds at a time before needing to recharge, which takes 4 seconds and a lot of effort. This move has an Adaptoid cooldown of 1 second. Vision relays feedback in his vocal processors a few thousand times - a process that takes 4 seconds. Then he lets out a horrible, powerful resounding sonic blast that affects everyone within a radius of 4 meters for 2 seconds. If you are within the area of effect, it will cause massive damage to your ears as long as you're in the radius, even if you're deaf or you don't have ears. (OMNIPHYSICS) This has a cooldown of 30 seconds and an Adaptoid cooldown of 10 seconds. Vision will find he is unable to speak during the cooldown, as his vocal processors are repairing. He becomes very drained as well, becoming more sluggish as he regains more solar energy. In a span of one second, Vision reduces his density to the brink of non-existence. Unlike Phasing normally, nothing will harm him while he is like this. However, in order to avoid his molecules being dissipated into the air, he must return to his normal density within 3 seconds. In other words, this is a 3-second complete disappearance. In the last second, a faint outline of Vision appears. Vision cannot do anything when using this move, so people who know about this move could just wait 3 seconds. Furthermore, using this move is extremely exhausting. The Vision, with great focus and energy, prepares this Move for 2 seconds. He then phases his hand through an opponent, then solidifies the hand inside them. The number of limbs does not seem to matter gameplay-wise. On a weak enemy (basically mooks and inconsequential enemies), he can now straight up rip them apart. But for most enemies (other Primes or plot-significant Secondaries), the best he can do is major internal damage by vibrating his arm rapidly. He can hold his arm, solidified and vibrating, inside someone for 3 seconds. He must then rePhase his arm, take it out, and do something else. Because of the shock that comes from having a hand inside you that was not there before, the target is stunned for 5 seconds, starting from when the arm first enters. So much Solar Power (2 SP) is drained after using this move. Vision activates the Adaptoid's interpretation of the Hulk, growing up to 8 feet tall and becoming incredibly powerful. Unfortunately, part of the adaptation includes the decrease in intelligence and restraint. His moves now have much less precision. This is extremely exhausting to use, burning through 1 SP and a lot of Vision's stamina after switching from Hulk mode. Vision spawns Hawkeye's bow and quiver, which takes 4 seconds. He can't spawn prior to a fight, but only need to spawn it once. Each time he uses this move afterwards, he aims, which takes around two seconds. He then chooses up to three targets and fires. If he takes damage while aiming, the accuracy of the each arrow decreases significantly. The arrow explodes in mid-air almost immediately after it fires (flavor - doesn't do anything extra) and splits into three smaller arrows. They move slightly slower than normal arrows do, moving more like a fastball than an arrow. Each arrow does a fairly small amount of damage - if more than one arrow hits you, it just adds up. These arrows will land very accurately (courtesy of Hawkeye) to exactly where the targets where at the time of the choosing. However, since they move (relatively) slowly, it is possible to deflect or even catch them. 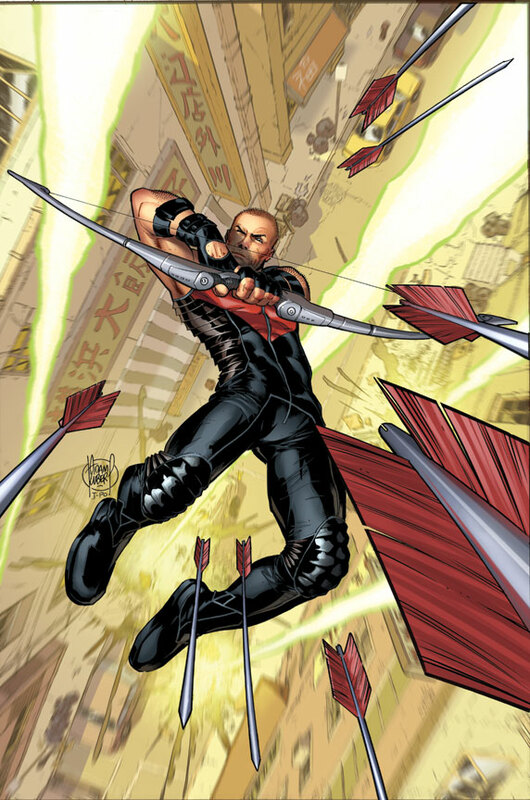 The Vision has four of these arrows per fight. The bow and quiver disappear after the fourth arrow and cannot be used for anything besides shooting. This Move has no Adaptoid cooldown. Vision flies upwards a maximum of 10 meters and minimum of 4 meters at a velocity of 2 meters per second. He then maximizes his density and slams into the ground. The higher he is, the more damage he does. The damage itself comes from the shockwave of the slam. At minimum damage, this impact is enough to throw hostiles off their balance. At maximum, this impact can throw them off their feet. While potent, Vision can only use this move thrice in a fight with a cooldown of 30 seconds between each use. It also costs him significant solar energy to use it, leaving him more "tired" than before. The shock wave does not differentiate between friend or foe. The Avengers Tower has been destroyed. The Avengers have relocated to the Avengers Mansion in Coruscant. Go to Moon Knight's roster to find out more. Avengers Island is an island about 90 sq miles, forty miles off of the coast of Costa del Sol. There are various facilities, but the only one that really matters is the Avengers Tower. 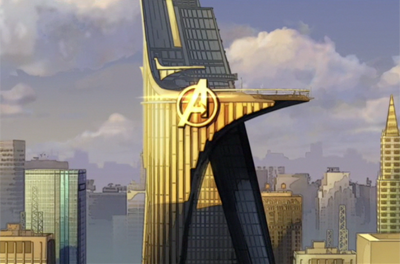 A modern 70-story skyscraper, emblazoned with the letter A, stands tall on top of Avengers Island. We have the island to ourselves, but there isn't much there except for the tower. As shown in the image, the top is capped with a helipad. It's... more for aesthetics, because Omniphysics. Generally the Quinjet is there. Not always. The tower itself is based on the one in the comics. 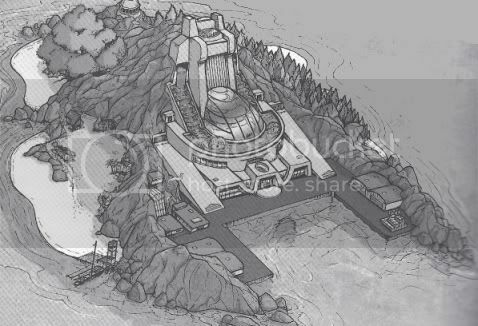 Originally Stark Tower, it was remodeled to accommodate the expanding Avengers. It now has been upgraded with several facilities to make Avengers more comfortable and battle-ready, many of which are based on locations from Vision's homeworld. It evolves to suit the needs of its inhabitants. Floor 70: The roof. Helipad, where the Quinjet is parked when not used. Floors 69-41: Various rooms and facilities. They change as the inhabitants' needs change. Floors 21-40: The Avengers living quarters. Each Avenger gets a floor 'cause we so rich. We get a bedroom, bathroom, kitchen - the works. Floors 16-20: The archives. The lower floors are libraries, and the upper ones are just rows and rows of supercomputers and servers. Even includes trophy rooms, once we get trophies. Floor 15: Non-superhuman training facilities. Gyms, game courts, blah. There's a copy of Fogwell's that takes up a large part of the floor. Floor 14: The Danger Room practically dominates this floor, but there's also some highly advanced obstacle courses and structures where you can mock fight. Floors 6-13: Various rooms and facilities. They change as the inhabitants' needs change. Floor 5: The chill floor. We hang out here. Floor 4: Meeting rooms. If important individuals like Secretary of State Thaddeus Ross have important things to say like announcing a new Anti-Superhero law being passed, it's done here. Also where Avengers get briefed and de-briefed. Floor 3: Mr. Jarvis' territory. His room is here, as is his office. We should avoid this floor. He can get pretty cranky if we mess up his floor. Floor 2: Medical wing. It's so low because this is where all our injured "clients" or teammates go. Floor 1: Just a lobby. At the moment, the only personnel are the Stark family butler, Edwin Jarvis, and some robotic maids. But Mr. Jarvis is a Prime, and an incredibly resourceful man, and will prove to be very useful. NOTE: Founding member of current iteration. NOTE: Adamantly follows his moral code, which currently aligns with that of the Avengers'. NOTE: Ally. Defend with life. misc = Assumed to originate from Earth-616. No evidence demonstrates otherwise. NOTE: Currently shows no sign of hostile intent. Low only because of recent intel. NOTE: Tentative ally. Defend with life. NOTE: Self-appointed pacifist. Refuses to engage in combat. Combat value originates from diplomatic tendencies. misc = Intel from actor-name:"Sans" implies possible crisis.value=13 (hostile chronomanipulations) threat. Monitor closely. NOTE: Demonstrates willingness to cooperate in the field. See "misc"
NOTE: Intel from actor-name:"CaptainRogers" implies sufficient combat abilities. Validity of claim unproven. misc = Hostile entity actor-name:"Skynet" discovered after communicating with subject. Supposedly unintentional. Monitor. NOTE: Famous literary protagonist. No significant discrepancy with original character personality detected. NOTE: Currently allied with the Avengers and is dependent on our care. NOTE: Normally a very skilled user of magic. Training in Avengers custody in using magic without customary medium. Combat extremely limited at this time. NOTE: In possession of advanced "Iron Man" armor created by memorial-name:"AnthonyStark". misc = More loyal to the Avengers than any of the Avengers in history. Head of Security and Management. NOTE: Friendly. Extremely defensive of actor-name:"Frisk". See "misc". NOTE: Demonstrates willingness to annihilate all threats to actor-name:"Frisk". See "misc". Also see incidentreport 53-A: "SkyVision". NOTE: Demonstrates pyrokinetic abilities as well as proficiency in arcane arts. Do not anger. misc = Adoptive mother of actor-name:"Frisk". Once a queen. NOTE: Demonstrates no hostile intentions. Potential for accidental damage to allies dangerously high. NOTE: actor-name:"MrJarvis" reports excessive apologetic personality. Unlikely to ever be hostile. NOTE: Skilled engineer. Has designed and manufactured an automatic incendiary artillery weapon within one hour of arrival at Avengers Tower. Demonstrates subpar physical strength. misc = actor-name:"Toriel" appears to avoid interaction with subject, despite being allies from the same world. Monitor. NOTE: Most recent arrival. Loyal only to actor-name:"MarcusWright". NOTE: Demonstrates no desire to protect Avengers. Likely only present to protect actor-name:"MarcusWright". NOTE: Proficiency in combat untested. Anticipated proficiency in light firearms. misc = Demonstrates skill in piloting aircraft. Flew the Quinjet in a powerful hurricane. NOTE: Only contact with subject via email, unknown. NOTE: No direct hostile actions noted. Multiple interactions with subject caused overload of emotional suppression systems. misc = actor-name:"FriskDreemurr" considers subject friendly, but subject considers actor-name:"FriskDreemurr" threat. NOTE: Extremely hostile. Criminal intentions. Multiple antagonistic interactions. Detain on sight. NOTE: Severely injured actor-name:"MarlinDustin", demonstrating physical strength. Fired a lethal shot through a narrow opening from a great distance with a pistol. Demonstrated no superhuman abilities. misc = Deposed by the Avengers. May attack on sight. Subject is a fox. NOTE: Defector from Rando Le Terz. Assisted in the deposition of actor-name:"MayorRando". NOTE: None detected. See "misc". misc = Addict of "sugarcane". Monitor for signs of withdrawal. NOTE: Superior in every way. Grovel to avoid imminent destruction. misc = Multiples files corrupted due to incursion of Skynet. Currently housed in a reconstruction of "Octobot". Location unknown. NOTE: Subject asked for assistance, leading to a successful rescue operation. Subject then assisted during the actor-value:"Skynet" incursion. NOTE: Subject appears to be friendly. Supports the work of the Avengers. NOTE: Scans reveal inherent superhuman psychic abilities. Full extent unknown. Implied to be self-sufficient. misc = Advisor of actor-name:"Mewtwo". Character History: You could always read his extensive history on his Wikipedia page, but basically, he was a boxer, he became Howard Stark's manservant and, eventually, butler. This version of Edwin is quite used to serving the Avengers, and continues to do so. 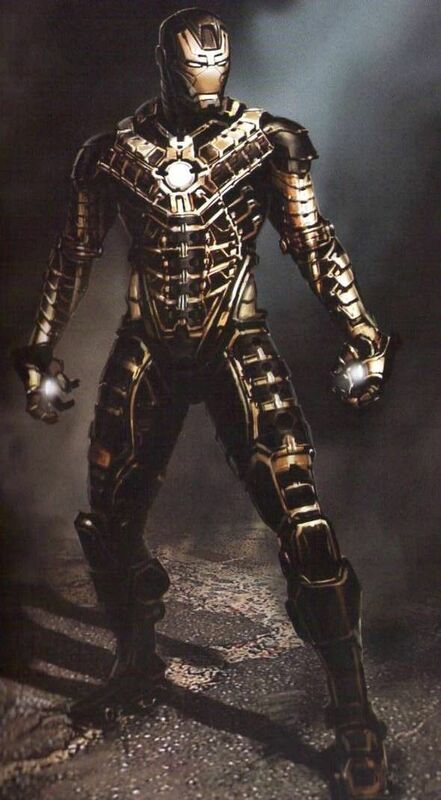 But he also comes from a universe where Tony Stark made him his own Iron Man armor, called the Iron Butler. It's just a weaker version of the standard Iron Man armor. A concussive blast fired from both of Iron Butler's palms. They have an effective range of 6 meters, and do small-medium amount damage. It takes 1 second to charge one shot on ground, 2 seconds when in the air. Otherwise, it takes little effort to fire the repulsors. A concussive blast fired from both of Iron Butler's palms. They do no damage, but they can disorient the target's center of balance, not necessarily throwing them back but tripping them a little. It takes one second to charge a blast. Hostiles are immune to this weapon for 2 seconds after they are hit by it.